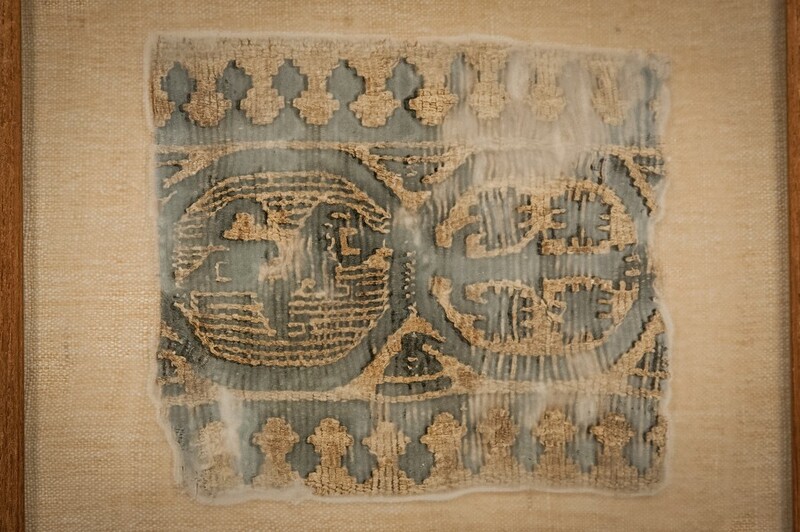 CivilizationEgypt, Coptic, 300 C.E. – 500 C.E. ProvenanceFormerly Coll. Eduard Schällibaum, 1950’s–60’s, Chur. 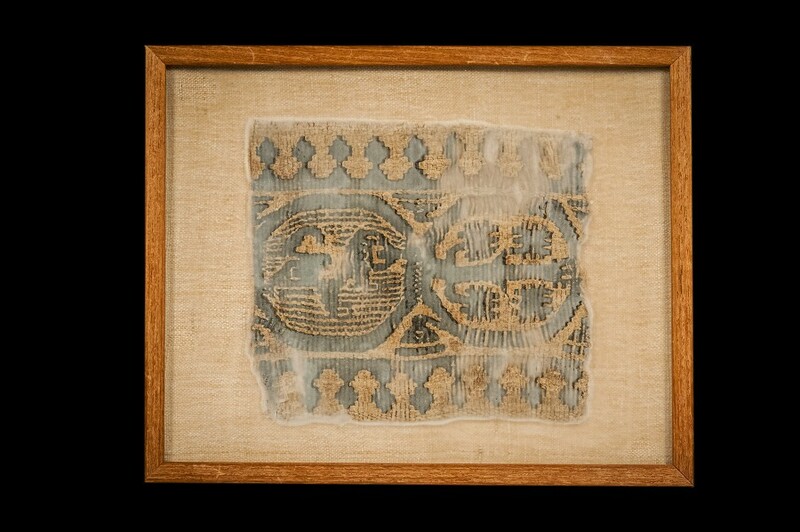 - On back of frames, alleged find spot “Upper Egypt”, inv. no. “716. 269. 476”. FRIEZE FRAGMENT WITH LION. – Two tondi on a beige background, with a lion facing right and a grape vine (?) as part of a larger frieze, framed by a zigzag band with rhombi hanging from it. Mounted on beige linen ground and framed. 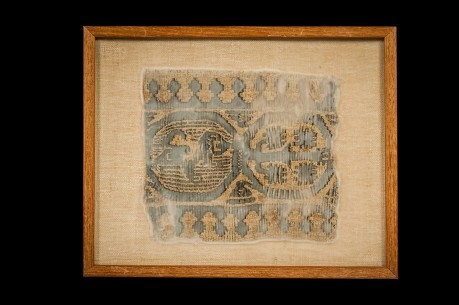 Fragments of tunics, tabulae, etc. – Cf. Cat. Leipzig – 2002, 113 ff. nos. 157–173 with ill.